We take our business and your budget seriously, and our personalized and detailed approach to quotes is proof. Simply fill out the form below or call Tyler at 613-561-LAWN (5296) to schedule time for quote, and learn what we can do for you and your space. Any of our offered services can be rolled into a customized package that is best suited to your needs and requirements. Please take a look at our Overview of Services list to get an idea of what we offer. If you don’t see something on the list, let us know – and we’ll look into a quote for you! We’re Here and There for You! 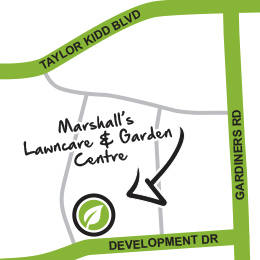 Not only is our extensive Garden Centre stocked with professional grade products and the most knowledgeable staff around, but we also offer delivery to your home or business, so it doesn't matter if you want to come to our place, or want us to come to yours: we've got the right tools and team for the job. Contact us. Get a quote.